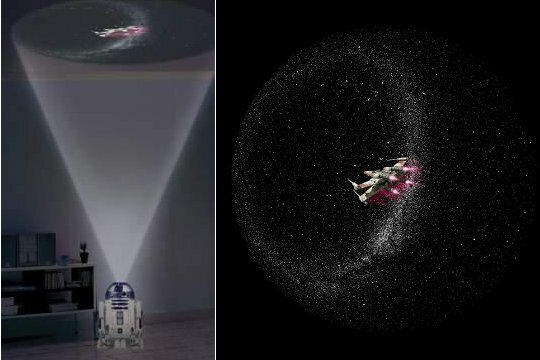 May the Force be with you - and on your home living room ceiling! 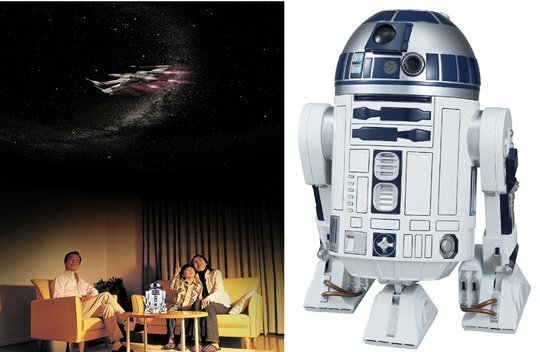 The Homestar R2-D2 EX is the enhanced version of Sega Toys' bestselling Star Wars range of home planetariums. The famous droid's head can now turn and you can adjust the body position and angle. Plus it even speaks in the movie's iconic droid language! But this is not just a cheap piece of fanboy merchandise. The optical quality of the projections is superb, beaming them right onto your home's ceiling. 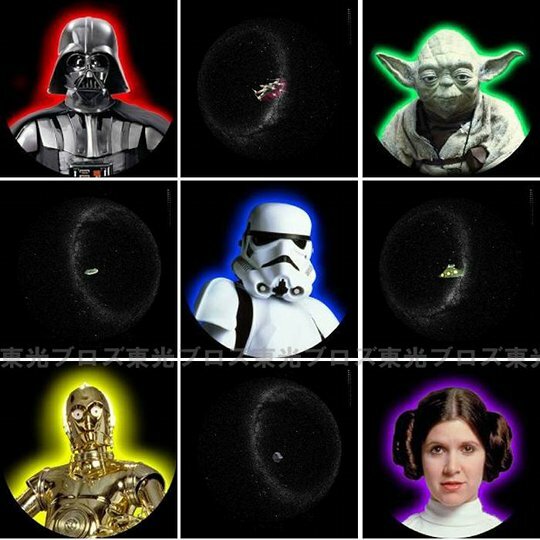 There are also FOUR different kinds of color projections featuring spaceships from the Star Wars universe (Death Star, Star Destroyer, Millennium Falcom, X-Wing), plus FIVE characters (Yoda, C-3PO, Princess Leia, Darth Vader and Stormtrooper).